BMSB are found in most commercial winegrape growing regions. BMSB crawl into clusters near harvest. They may pose a risk to fruit quality as they produce an aromatic taint during processing for wine production. Monitor for BMSB using commercially available pheromone traps placed at the border of vineyards, close to surrounding vegetation. Alternate hosts include English holly, broadleaf maple, tree of heaven, and empress tree. 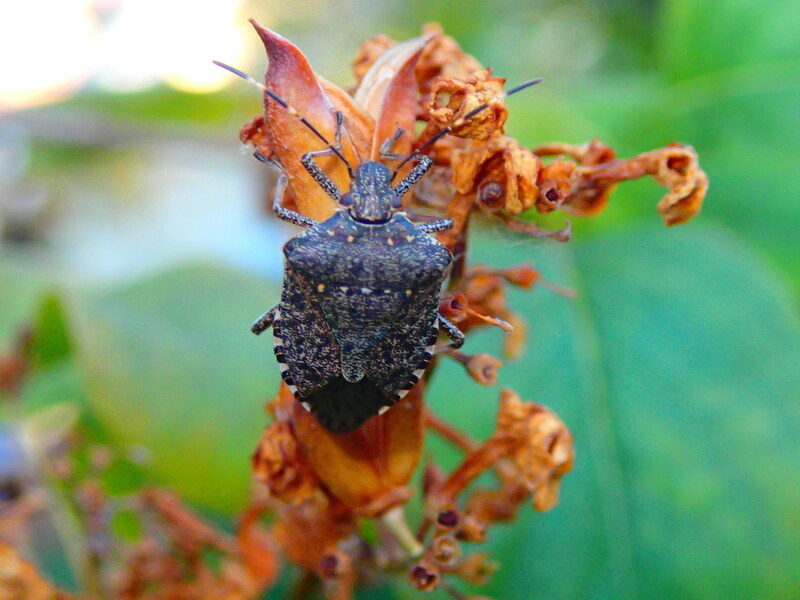 BMSB populations tend to build up during late summer and move from surrounding vegetation into vineyards and target grape clusters for shelter. There is a threshold of four bugs per cluster in winegrapes due to taint that can occur during wine production. However, chemical control is currently not needed due to low infestation levels.